One of the hardest games of 2009, and probably of all time, might get a sequel in 2010. 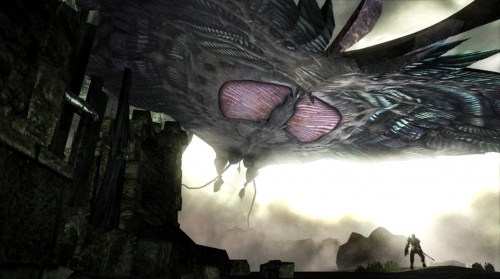 Demon's Souls director Hidetaka Miyazaki said in late 2009 that he'd love to make an even better game in the style of Demon's Souls, and that game surprisingly could land in stores this year. As a NeoGAF poster theorizes, the most recent Dengeki Games podcast may have revealed that Demon's Souls 2 is scheduled for a Fall 2010 release. The podcast mentions an "unannounced sequel to a game which came out last year" which is "challenging and extremely hard, with very 'interesting' gameplay systems." In today's videogame market, there aren't very many extremely challenging games, and with the surprise success of PlayStation 3 exclusive Demon's Souls, which is definitely an extremely challenging third-person action-RPG, it seems to fit that mold very well. There have been "rumblings" from sources at 1up on the topic, who say that it wouldn't be far-fetched if Demon's Souls 2 is the game referred to on the Dengeki podcast. While it might seem early for the next title to come out, Demon's Souls was first released in Japan on February 5, 2009, so a Fall 2010 sequel isn't that crazy. It could always get pushed back too, and just be a tentative date. Demon's Souls is one of my favorite games of all time, so I really hope the rumors are true, or if they aren't that we see a sequel someday anyway.